It was a very bad bad day for my girl again. 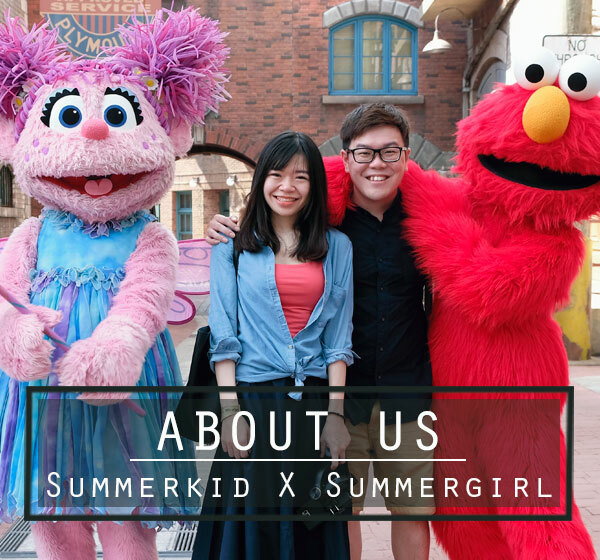 She has been in bad mood for quite some time due to internship problem. She tried very hard to get a placement but somehow she got rejected again and again. She can do nothing but just asking me to bring her for some nice food that can cheer her up. She said she wanted to try Affogato at Capricciosa. While on the way there, we saw 马嘉轩( Athena Beh) having her autograph and singing session to promote her new ep called 配角. She is not that pretty but she has a very nice and powerful voice that catch our attention to stop by and listen to her singing. 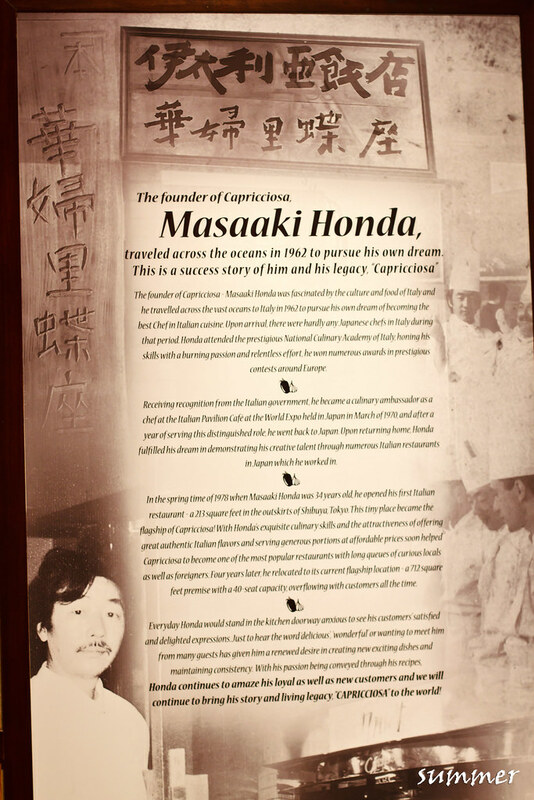 Chef Masaaki Honda is the founder of Capricciosa. 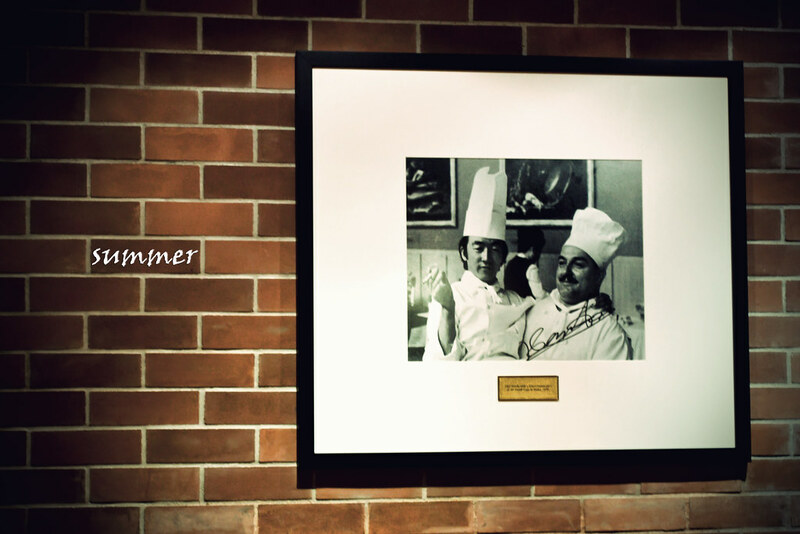 He won numerous awards in prestigious contests around Europe and he started off his first Italian Restautant business in Shibuya, Tokyo. 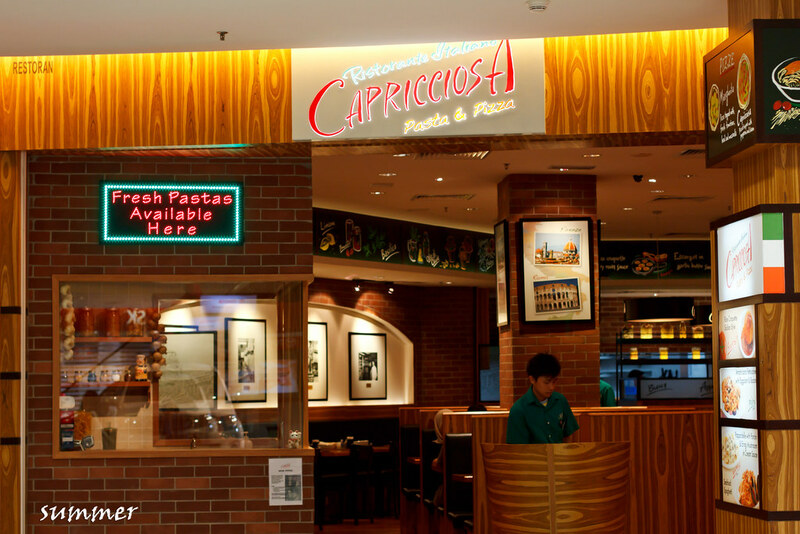 And now, Capricciosa is the very first outlet opened in Malaysia and the first branch can be found in Sunway Pyramid. Chef Masaaki Honda together with a European Cheft in the photo. Look how young was him at that time. Instead of having just a scoop of vanilla ice cream poured with a shot of espresso,the Affogato is topped with a dose of whipped cream, drizzled with caramel and chocolate sauce. We don’t really like espresso due to its strong taste and bitterness, but this is an exceptional one. The espresso is bitter but not harsh in taste, just suit to my liking. 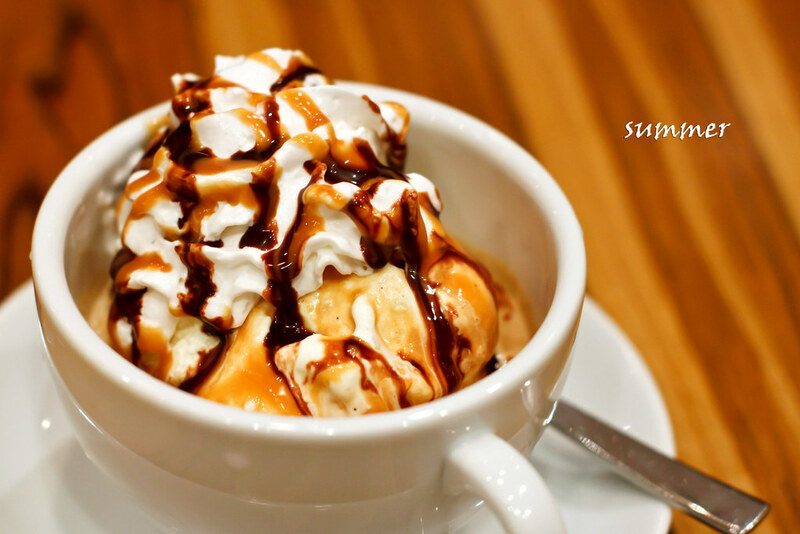 The combination of whipped cream, ice cream, espresso, caramel and chocolate sauce make the Affogato marvelous. We loved it till the last sip. 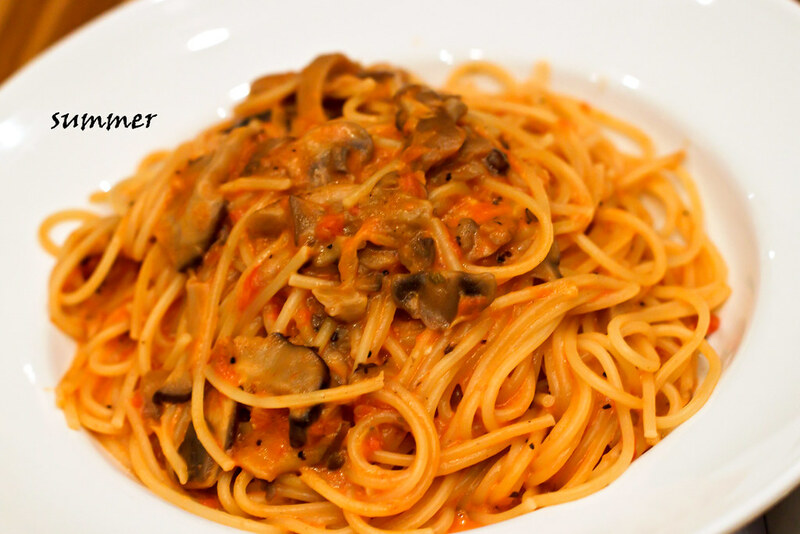 Spaghetti with mixed mushrooms in a tomato cream sauce. 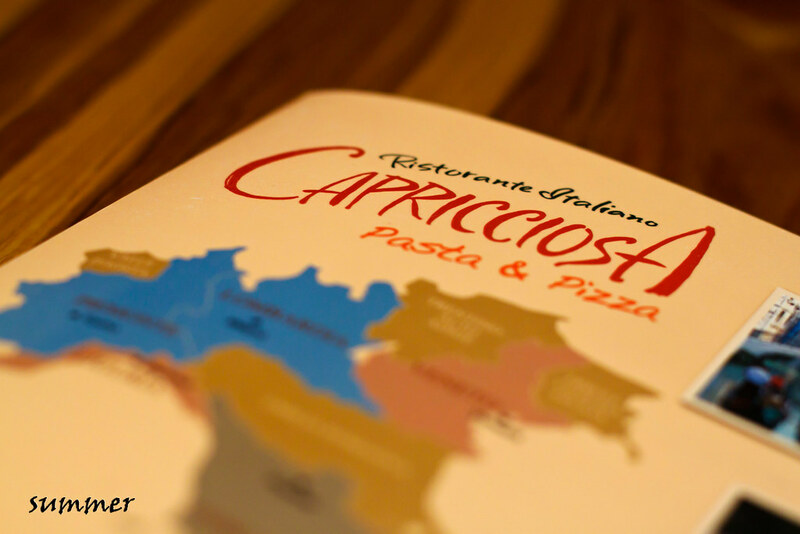 Spaghetti here is hand made fresh everyday therefore there is no doubt for its freshness. 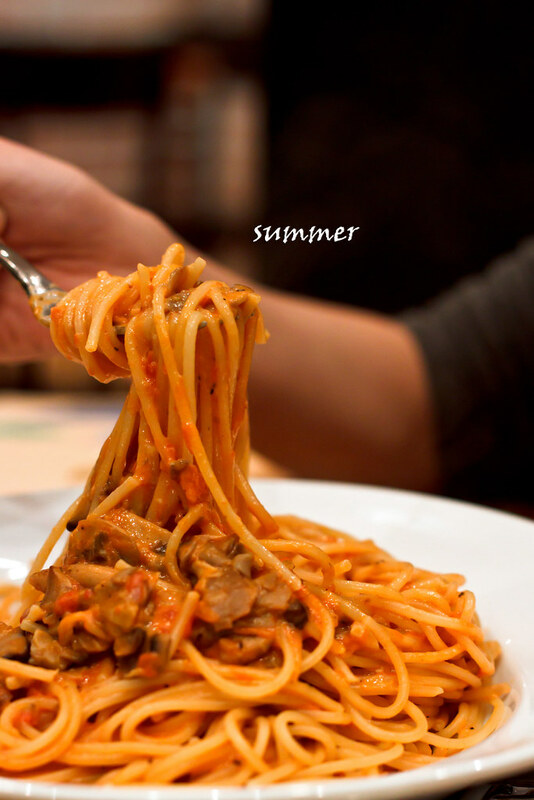 The spaghetti is cooked al dente, cream sauce mix well with the tomato sauce but it doesn’t overwhelm the tomato taste, mushroom slices are surprisingly tangy and juicy, this spaghetti definitely win our heart. Marinated chicken, onions, mushrooms in alfredo cream sauce. 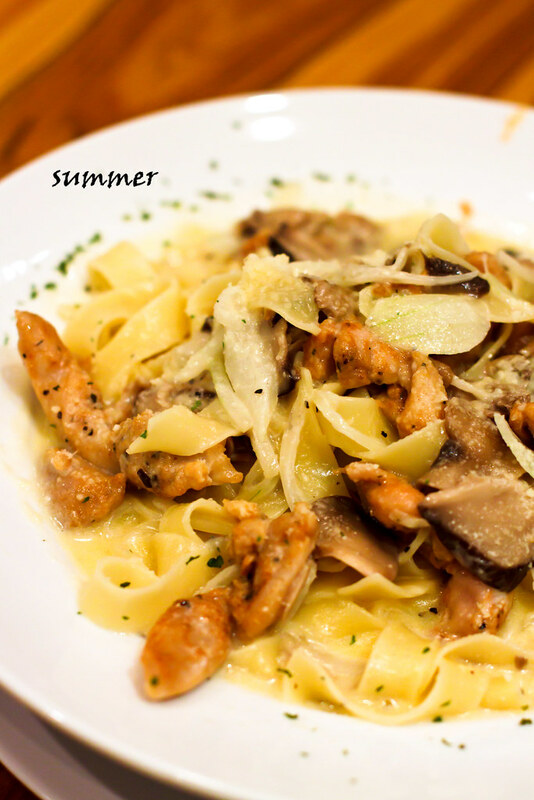 One of the best fettuccine I had ever tasted. I just like their mushroom, juicy all the time. The chicken was slightly marinated with quite a strong pepper taste, sauce was light and not creamy, which disappointed me but this doesn’t matter anymore when the fettuccine is so slurpy and delicious. 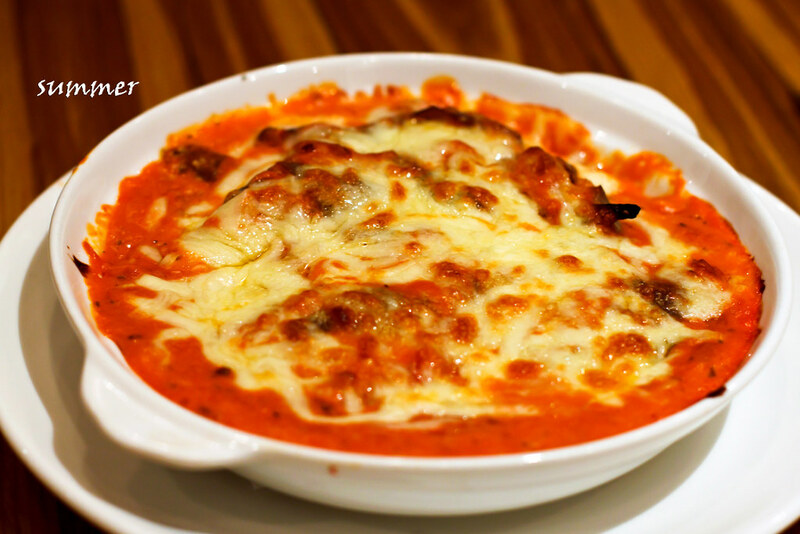 Fresh eggplant baked with tomato cream sauce and topped with Parmesan cheese. The eggplant was baked with a very heavy base of tomato cream sauce. 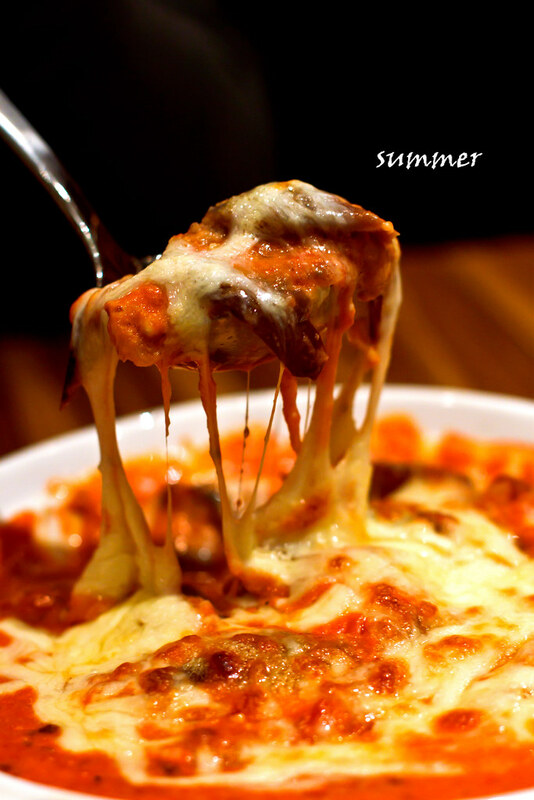 Adding Parmesean cheese make this dish even more rich and I would recommend to have this as a side dish for sharing. This place starts climbing for its ranking to overtake Italiannies in my heart, as Italiannis food quality is deteriorating. However one thing is most of their food here containing beef which we don’t eat. This really limited the choice of food for us. I shall ask them whether I can replace the meat sauce with chicken sauce next time, heehee. I will chose the eggplant gratin, thanks for sharing, will check out this place since its quite nearby for me.